Art of Coaching analyst Jim Stone takes a look here at some of the game's top servers and compares the velocity of the jump spin, jump float and standing float. As you'd expect, the jump spin gets from the server's hand to the passer's platform fastest, but you may be surprised at how quickly the jump float travels. Another aspect of serving that Jim analyzes here is the dramatic movement that a good float server can get on the ball. If you're a premium member, you'll want to check out our follow-up to this video where Jim offers a detailed statistical breakdown of the court zones that are favored by top international teams on the senior and junior level. In this video, Jim talks about statistics he compiled at recent international tournaments and what they tell us about how to serve tough. A huge percentage of serves go to the sideline or deep parts of the court. Jump floats are used extensively and effectively by youth players internationally and need to be developed more in the U.S. at the juniors and college level. Serving practice should be a big part of training since serving is such a significant weapon. The effectiveness of the short serve should be scrutinized because it may not be all that difficult for the receiving team to pass. Evaluating errors to aces may not be as important as evaluating errors to serves that put the opponent out of system. 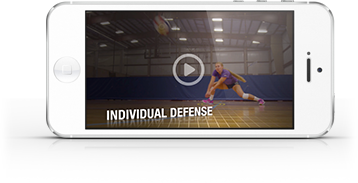 Jim makes a lot of interesting points in this video that will get you thinking about how to prepare your players to deliver tougher serves.